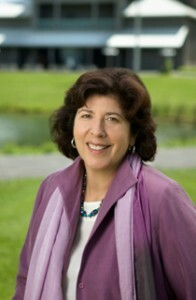 COOPERSTOWN, N.Y. – The Glimmerglass Festival has released details regarding its 2011 summer season, the first under incoming General & Artistic Director Francesca Zambello. The 2011 Festival will open with new productions of Bizet’s Carmen and Cherubini’s Medea. 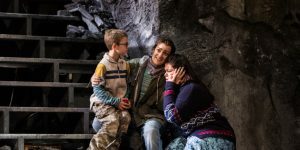 Additionally, a double bill of two new operas highlighting American artists will feature the world-premiere production of A Blizzard On Marblehead Neck, a Glimmerglass-commissioned work by the award-winning team of composer Jeanine Tesori and playwright Tony Kushner, and the professional premiere of John Musto and Mark Campbell’s acclaimed Later the Same Evening. The four operas will be joined by Irving Berlin’s Annie Get Your Gun. The main stage productions will be supplemented by special performances, concerts, lectures and symposiums throughout the season. Development Program. Adam Diegel returns to Glimmerglass as Don José after his performance this summer as Cavaradossi in Tosca, for which he was praised for his “smooth and darkly tinged voice.” Keith Miller will sing the role of Escamillo. Miller has been seen as Zuniga in the Met’s production of Carmen and also recently appeared in Salome and Madame Butterfly, both of which were broadcast live in HD around the world. 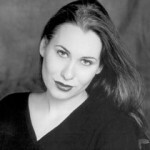 American soprano Anya Matanovič will sing the role of Micaëla in her company debut. The production will be directed by Anne Bogart, who serves as the Artistic Director for the SITI Company and whose work was last seen at Glimmerglass in 2008 with Bellini’s I Capuleti e i Montecchi. Glimmerglass Music Director David Angus will conduct. Deshorties made her Met debut as the High Priestess in Aida and has since appeared as Elettra in Idomeneo, Fiordiligi in Così fan tutte and First Lady in The Magic Flute. Jason Collins, seen last summer in Seattle Opera’s Ring Cycle, will sing the tenor role of Jason. Collins last performed at Glimmerglass in 2002 as The Chevalier in Dialogues of the Carmelites. Wendy Bryn Harmer, also a graduate of the Lindemann Young Artist Development Program, will sing the role of Glauce. The role of King Creon will be sung by David Pittsinger, last seen at Glimmerglass in 2005 as The Traveller and The Elderly Fop in Death in Venice. Pittsinger has most recently performed at the Met as The Animal Trainer/Acrobat in Alban Berg’s Lulu and The Speaker in Julie Taymor’s production of The Magic Flute. Other engagements include performances as Emile de Becque in South Pacific at Lincoln Center Theater. He also appeared as Enobarbus in a Carnegie Hall concert performance of Antony and Cleopatra with New York City Opera. Englishman Michael Barker-Caven, known for his work in London’s West End and the Royal Opera House, will direct and Italy native Daniele Rustioni will conduct, both in their U.S. debuts. They will be joined by Joe Vanek, who will design sets and costumes. Robert Wierzel will design lighting. The world premiere of A Blizzard On Marblehead Neck will be inspired by an episode in the life of playwright Eugene O’Neill. This will be the first operatic composition for Jeanine Tesori, who is well-known for her scores on Broadway, including Shrek The Musical and Tony Award-winning Caroline, or Change. Pulitzer Prize-winning playwright Tony Kushner will provide the original libretto; Kushner is acclaimed for his Tony Award–winning play, Angels in America, which was later turned into a mini-series. His other plays include A Bright Room Called Day, Slavs! and Homebody/Kabul. He wrote the book for Tesori’s Caroline, or Change and the screenplays for Mike Nichols’s film Angels in America and Steven Spielberg’s Munich. Zambello will direct A Blizzard On Marblehead Neck. Court Watson will design costumes. Originally commissioned by the National Gallery of Art, the Clarice Smith Performing Arts Center and the University of Maryland, Later the Same Evening is a one-act opera inspired by five paintings of American icon Edward Hopper. The opera is written by Pulitzer Prize-nominated composer John Musto and award-winning librettist Mark Campbell, who previously collaborated on the highly successful comic opera, Volpone, for Wolf Trap Opera. Later the Same Evening imagines the lives of the figures in Hopper’s paintings and weaves a narrative that connects them – both tangentially and directly – on a single night in New York City in 1932. “Ultimately, the opera is a love letter to the city,” explains librettist Campbell, “and celebrates the serendipity its inhabitants hold sacred…and its belief that love could always be just around the next corner.” The production will feature Patricia Schuman in the role of Estelle Oglethorpe. Schuman has performed in many leading opera houses and festivals, including the Met, Vienna State Opera, Salzburg Festival, Royal Opera House Covent Garden and Houston Grand Opera. Baritone Jake Gardner will perform the role of Ronaldo Cabral. Gardner returns to Glimmerglass after performances as Jupiter in the company’s 2007 production of Orpheus in the Underworld. Leon Major, who directed Later the Same Evening’s 2007 premiere to critical acclaim, will direct; David Angus will conduct. David Roberts designed costumes for the premiere and designs this new production. Erhard Rom, who also teamed with Major on the premiere, will design the sets for the double bill in his company debut. Mark McCullough will design lighting for A Blizzard On Marblehead Neck and Later the Same Evening. Based on the real-life romance of sharpshooter Annie Oakley and Frank Butler, Berlin’s Annie Get Your Gun features the popular and well-known songs “Anything You Can Do I Can Do Better,” “I Got Lost in His Arms,” and “There’s No Business Like Show Business.” Leading dramatic soprano Deborah Voigt will sing the title role. Although Voigt is internationally revered in the operas of Richard Wagner and Richard Strauss, and is noted for portrayals of such Italian operatic heroines as Tosca and Aida, she has also sung Broadway and popular songs in recital and in special cabaret presentations. Rod Gilfry will sing the role of Frank Butler, Annie’s love interest. Gilfry is a two-time GRAMMY nominee who can currently be seen as Emile de Becque in the U.S. National Tour of the Lincoln Center Production of Rodgers and Hammerstein’s South Pacific. Buffalo Bill Cody will be sung by Jake Gardner. Zambello, known for both her opera and theater productions, will direct the musical. Kristen Blodgette, who has worked on many Broadway productions, will conduct. Court Watson will design sets and costumes in his company debut, and Mark McCullough will design lighting. 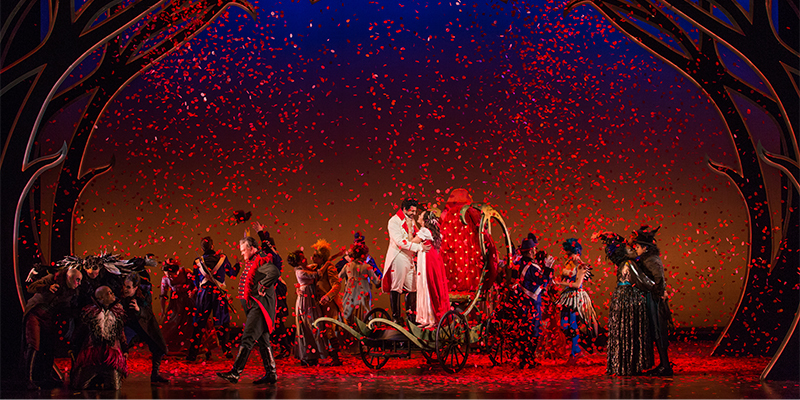 McCullough returns, after having designed Das Liebesverbot in 2008, for his ninth season with the company. The 2011 Glimmerglass Festival will feature two special performances. A cabaret starring Deborah Voigt will take place on July 29, 2011. This performance will be the premiere of a program developed by Voigt, director Zambello and award-winning playwright Terrence McNally. McNally has written the books for the musicals The Full Monty, The Rink, Ragtime and A Man Of No Importance, as well as the libretto for Jake Heggie’s Dead Man Walking at San Francisco Opera. He is also acclaimed for his Tony Award-winning play, The Master Class, which focuses on the life and career of operatic soprano Maria Callas. The performance will take place in the Alice Busch Opera Theater at 3 p.m.
Nathan Gunn will also perform a concert accompanied by his wife, Julie Gunn, in the Alice Busch Opera Theater on August 12, 2011, at 3 p.m. Mr. Gunn made his Glimmerglass debut in Zambello’s production of Iphigenia in Tauris in 1997. He has appeared in internationally renowned opera houses such as the Met, San Francisco Opera, Seattle Opera, Houston Grand Opera, Paris Opera and Glyndebourne Opera. A frequent recitalist, Mr. Gunn has been presented in recital at Alice Tully Hall by both Lincoln Center’s Art of the Song series and the Chamber Music Society of Lincoln Center, and by Carnegie Hall in Zankel Hall. He recently released a solo album, Just Before Sunrise, on the Sony BMG Masterworks label. Other recordings include the first complete recording of Rogers & Hammerstein’s Allegro and his debut album, American Anthem, a collection of American songs. 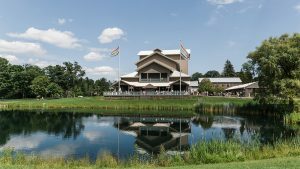 New in 2011, The Glimmerglass Festival will present Meet Me at the Pavilion, a series of special performances and lectures that will take place in the company’s Thaw Pavilion next to the Alice Busch Opera Theater. These performances will be presented all summer and will consist of concerts, lectures, post-performance discussions with cast and crew, and performances by members of the Young American Artists Program. Deborah Voigt, baritone Rod Gilfry, the 2011 Young Artists, and acclaimed composer and pianist John Musto will be involved in the summer series of special performances and concerts. His playing is featured in song recitals, chamber music, concertos and solo works. In addition to Meet Me at the Pavilion, audience members may continue to enjoy free previews prior to each performance, where a member of the music staff will offer an exploration into the work about to be performed. Free backstage tours will still be offered every Saturday in August at 10 a.m. During backstage tours, audience members have the opportunity to take a behind-the-scenes look at how each production comes together. Between performances on Saturdays in August, audience members can remain in the theater to watch as the production crews change the scenery and lighting to that of the next production. A member of the production staff narrates as the crews race to change the scenery in less than three hours. In 2011, audience members will be invited to remain in the theater after many performances for special Q&A sessions with the cast and creative teams. 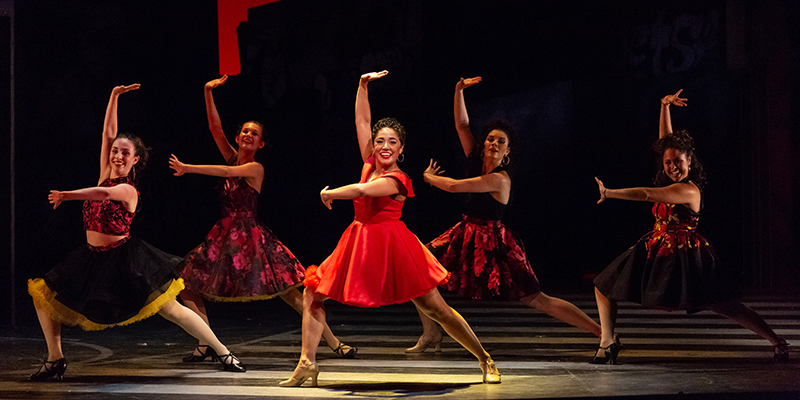 Next summer, The Glimmerglass Festival will introduce ShowTalk, a series that will take place over three weekends and two weeks in August when visiting scholars and artists will explore topics related to the Festival productions. The 2011 Festival runs July 2 through August 23. Subscriptions for the 2011 Festival are currently on sale. Ticket buyers should note that many performance times next year have been scheduled earlier to better accommodate dining and travel arrangements for Glimmerglass visitors, and a new weekend subscription is now available in August. For more information on the 2011 Glimmerglass Festival and performance dates and times, visit www.glimmerglass.org or call the Box Office at (607) 547-2255. Francesca Zambello officially assumes the role of General & Artistic Director commencing September 1, 2010. She will succeed Michael MacLeod, who has held the position for five years. The company is a professional and non-profit organization that offers approximately 40 performances of four productions that run in rotation during July and August. Since its opening in 1987, the company’s Alice Busch Opera Theater has been home to more than 85 productions. 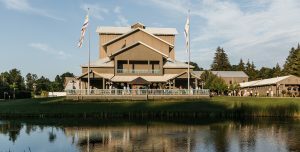 The 2010 Festival runs from July 9-August 24 and features four new productions: Puccini’s Tosca, Copland’s The Tender Land, Mozart’s The Marriage of Figaro and the U.S. professionally staged premiere of Handel’s Tolomeo. For additional information, call (607) 547-2255 or visit www.glimmerglass.org. I would like to see one of your shows.